When would I use the health-time or a procedure template that I have created? 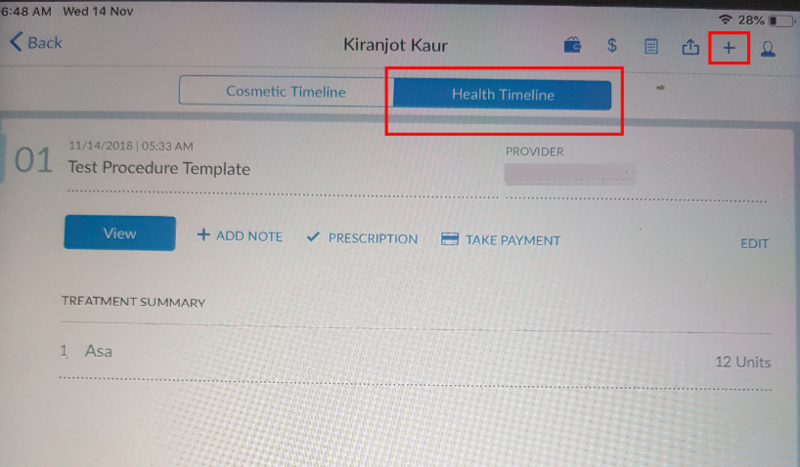 The health time line can be used to track vital signs, weight loss, IV therapies, pretty much any procedure template you create can be added into the health timeline. 4. At the end of Questions it will ask for Consultation Fee. Make sure to input the amount you wish to charge for the treatment. 6. You can add prescription, notes for the treatment. 8. You can then find the Invoice under Invoice.